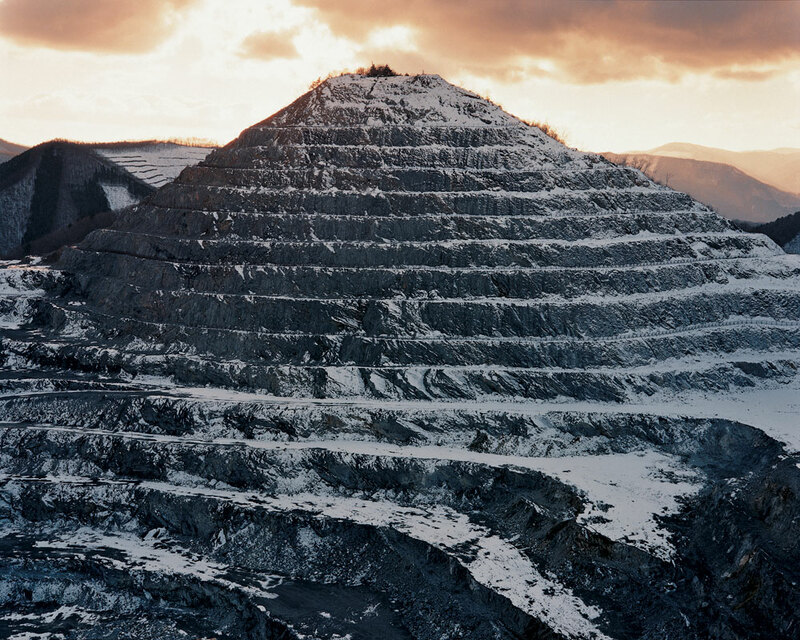 In a comment on my last post, James mentioned Edward Burtynsky’s quarry photos which are really striking and highly recommended for anyone who hasn’t seen them. 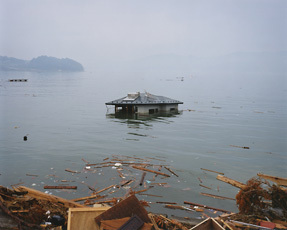 Coincidentally, SF MOMA currently has an exhibit of photos by a Japanese photographer, Naoya Hatakeyama, who works in the same vein as Burtynsky, photographing large scale human impacts on the landscape, including quarries. 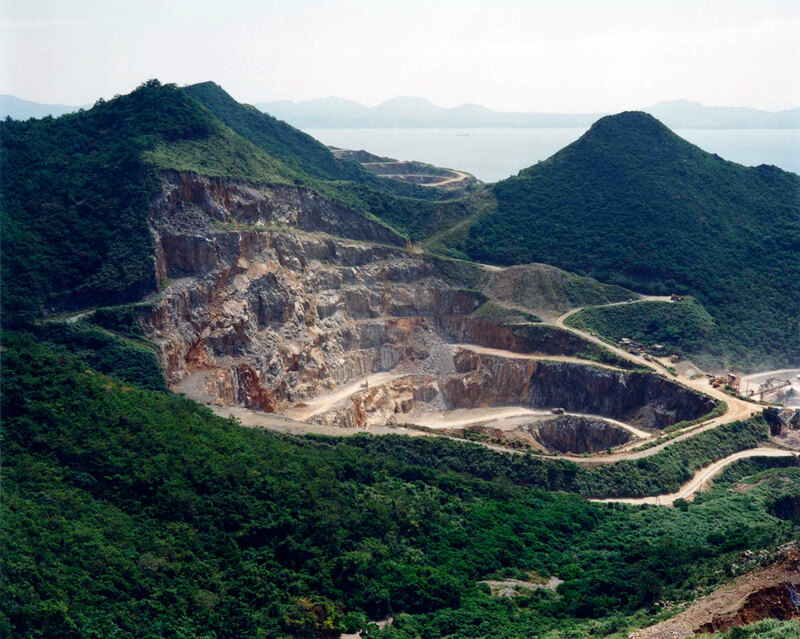 His Lime Hills (Quarry Series) has images where the quarries are horrible scars, but also ones where they seem quite sculptural and aesthetic. 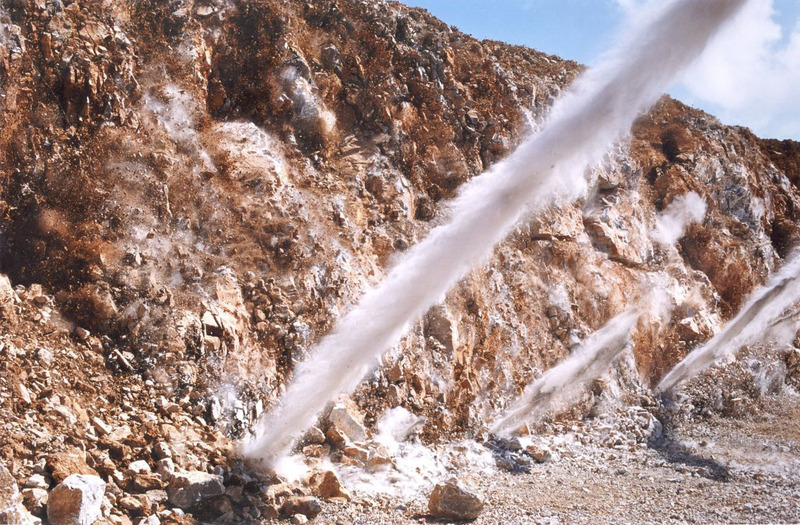 Along with the photos, at the museum there is also a very cool video (titled Twenty-Four Blasts) of quarry blasting. If you sit up close to the screen, the explosions fill your vision. The video doesn’t seem to be online, but SF MOMA posted a slideshow of stills from the best sequence. 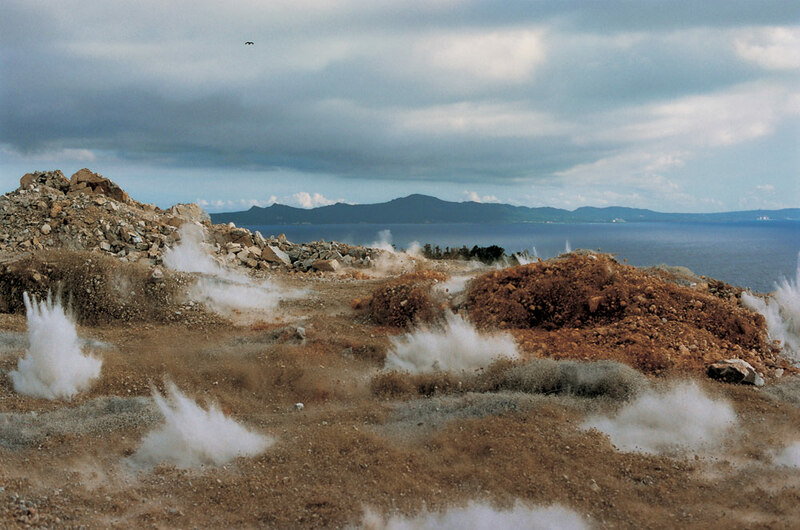 I went to the exhibit to see the quarry series, but probably the most powerful images — especially in light of the superstorm blasting the east coast right now — are of his hometown in Japan, Rikuzentakata, which was destroyed by last year’s tsunami. It was impressive to see such carefully composed photos, knowing that this was his hometown and that his mother died in the event. He talks about it in a video at Wired. Peenya Granite Quarry, India | Stonebreaker from STONE project on Vimeo. to collect information about stone through the eyes of artists, masons, quarry workers, anthropologists, and cultural and literary thinkers. to discover differences in how stone is understood and worked throughout the world. to understand both the ‘physical processes’ and the ‘thinking approaches’ when working with stone. to show these modes of understanding in ways that are broadly applicable and transferable. … assemble all research and achievements in an archive for the use of current and future generations, a tool which anyone can use. You are currently browsing the DryStoneGarden blog archives for October, 2012.